We passionately believe that menstruation should be celebrated, not shamed, and are leveraging our thought leadership and activism to help create a world where adequate menstrual health management is recognized as a human right for all women and girls. Through our global advocacy work we leverage data and experiences from our grassroots work to support local and international governments, policy makers, and other key stakeholders to support girls’ education and retention through the provision of sanitary pads and comprehensive menstrual and reproductive health education. Our primary efforts include participating in the Kenyan Government’s Technical Working Groups, and engaging international agencies, NGOs, and other key stakeholders to prioritize menstrual health management and firmly entrench menstrual and reproductive health and rights into global funding priorities and development agendas. From 2010 through 2018, we have succeeded in supporting the Government of Kenya to be the first to write sanitary pads in the national education budget, as essential as other school items such as pencils. In 2017, we supported the Kenyan Ministry of Health and other key partners in developing a policy and strategy document regarding the safety of contents and manufacturing of feminine hygiene products. In 2016, we participated in five Technical Working Groups to integrate Menstrual Health Management into a range of policies including Sexual and Reproductive Health and Rights. 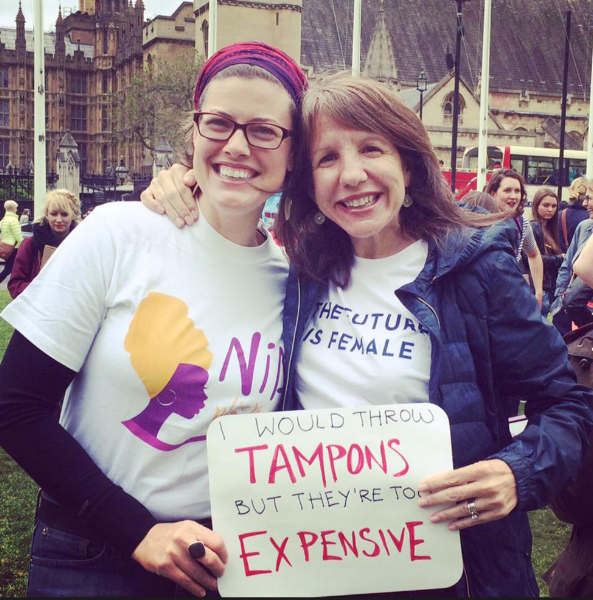 In 2016 we supported menstrual equity advocates and activists in New York City and London to abolish the tampon tax. We are one of the founding organizations of a global movement to raise awareness around menstrual hygiene management. From the inaugural MH Day to present, we work with key stakeholders and the media locally and internationally to support, organize and celebrate this day.